What kind of player you are? Love to make stories or movies? Spend your time with creating clothes and stuff? Or just make lot of differend kind of sims...etc? Re: Are you storymaker, crator...or? I used to make movies click... Nothing fancy or anything. I think your movie is good, it goes on smoothly and the story really touch my feelings.. You must have good computer bec the guality of picture is good and not blurry at all . Thanks! Speaking of movies... 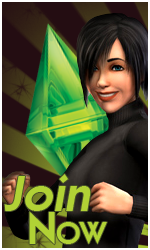 I made one at sims3.com. Now, I am into movies!!! 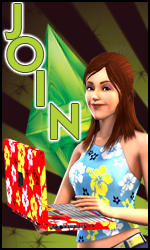 I am working on two: Rejected and Lankan Bay Sims Soap. Jellytots, I think making movies in sims3 is fun! I tried couple but didn´t have courage to publish any ...maybe later.